Pink ,purple（if purple not available, red roses will be used）, white and champange color roses, total 20 stem, with waxflower and greens, hand banquet. Based on the standard to provide better packaging materials and add more match item. Below pictures is only for reference for flowers. 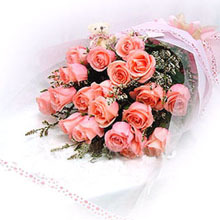 We promise our flowers in fresh and gifts in high quality, and our service is also the best! If you aren't satisfied with our service or we can’t finish your order, we will return the 100% payment! 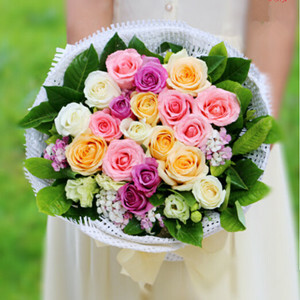 Because of the different area and season, if we have to change the main flower we will inquire you through E-mail, so please write the correct E-mail address. 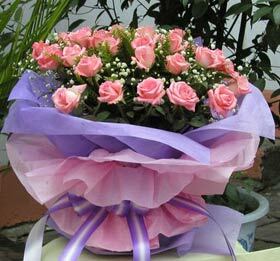 If we don’t get any response in time, we will substitute with the flowers in the same color and theme. The price of the product is included the delivery fee (10 km of the city centre). Out of this free delivery area, it require to add $5 to $20 delivery fee. We support the same day delivery to China in most cities,3-6 hours can be send to the recipient. 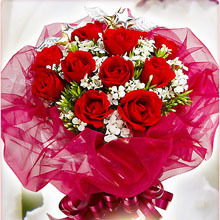 In order to delivery your gifts in time, order ahead 1 to 2 days is best. In holiday and festival we only can guarantee delivery in the day.